Did you know that your dental health is linked to your overall health? It’s called the Mind and Body Connection. Dental care is the one of the highest unmet health need in the United States. 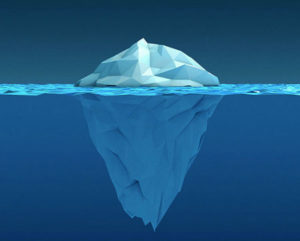 Everyone faces tooth decay and even gum disease when dental care is ignored it becomes just the tip of the iceberg for bigger health issues. HealthSense Dental has created an easy checklist for you to stay up to date on your oral health! Brush twice a day for two minutes each time. Stay hydrated – drink at least 8 glasses of water daily. Limit sugary or sticky treats. Visit your Health Sense dentist twice a year for cleaning and an exam. Schedule your next visit before you leave our office. Replace your toothbrush AT LEAST every three months or after you have been sick. Being proactive with your dental care is important to your overall health. When you come in, let us know how you are doing and if there is anything we can do to help you with your dental checklist!